Some parents worry that the disruption of moving home may be harmful to young children, but a new study of suggests that this is not necessarily so. One of the things we ask you when we come to visit is whether your family has moved house since the last time we saw you. Researchers looked at how many of you moved between the time you were born to age five, and the reasons why. They compared your experiences to a group of American children, who were born in 1998-2000 and are being followed by a similar study in the United States. More than two thirds of the Child of the New Century families owned their homes when their children were born, compared to just over a quarter of those in the US. Private renting was much more common among the American urban families – 42 per cent compared to just 7 per cent in the UK. Twice as many children of the new century (20%) lived in social housing as in the US (10%). The American families were more likely to move home – and to move more often. Two thirds of the US children had moved at least once before the age of five, and nearly one in five had moved more than three times by that age. Among the Child of the New Century families, 40 per cent moved at least once by the age of five, and only 5 per cent moved more than three times. The reasons your parents gave for moving were mostly positive, such as a bigger house, better area or better schools. Moving due to problems with landlords or eviction was rare. When you were age five, we also checked how your vocabulary was developing, and asked your parents about your behaviour. The researchers compared this information to your experiences of moving home. Moving did not appear to be related to children’s development once other factors were taken into account. The researchers note that the housing market was much different when the children of the new century were born than it is today. 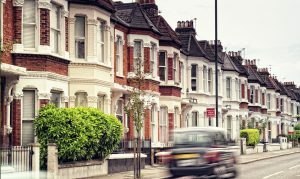 “The question remains as to whether the current lack of affordable housing and reduced rent subsidies in the UK will increase the number of young families moving for negative reasons,” they said. You can find out more about homes, families and neighbourhoods on the ‘What we’ve learned’ pages.